Dubai Silicon Oasis Authority (DSOA), the regulatory body for Dubai Silicon Oasis (DSO), the integrated free zone technology park, in collaboration with the Dubai Islamic Economy Development Centre (DIEDC), and Thomson Reuters have announced the five finalists of the Innovation 4 Impact Competition 2016 – set to make up an integral component of the upcoming Global Islamic Economy Summit (GIES 2016). Held under the patronage of His Highness Sheikh Mohammed bin Rashid Al Maktoum, Vice President and Prime Minister of the UAE and Ruler of Dubai, the GIES 2016 will be hosted on 11th and 12th October at the Madinat Jumeirah in Dubai. The Innovation 4 Impact finalists were select ed from more than 250 digital Islamic economy entrepreneurs from over 40 countries who submitted applications for the Competition. These applicants demonstrate that digital Islamic economy innovation exists all around the world. Applications were reviewed by a committee of experts comprised of business and industry leaders in the Islamic economy space. The five entrepreneurs in the field of digital Islamic technology and Arabic content, who successfully passed the two initial assessment rounds to make it to the finals, will present their business ventures towards supporting digital Islamic economy and enhancing Arabic content during GIES 2016. The finalists include entrepreneurs who are employing technology to provide solutions to some of the world’s most difficult problems, innovators who are driving solutions to meet the ever-increasing Muslim lifestyle needs and others who are creating new markets and expanding into new industries. The Innovation 4 Impact Competition finalists demonstrate the remarkable potential to create business ventures that convey positive opportunities and solutions to consumers, communities, and countries. Ideas for the pitch presentation will be judged on different criteria including: innovation, economic and social impact as well as the scalability across markets and regions. One lucky winner will receive a cash prize of US$20,000 and a set of incubational services collectively valued at over US$10,000 – including the opportunity to set up office at the Dubai Technology Entrepreneur Centre (DTEC), DSOA’s wholly owned technology incubation centre and the largest of its kind in the region. More than 2,500 delegates comprising of business leaders, corporate executives and investors have registered to attend GIES, representing some of the best examples of entrepreneurial spirit and innovation across different industries and markets. GIES will provide a unique opportunity for these industry players to connect with entrepreneurs and discover new market opportunities. 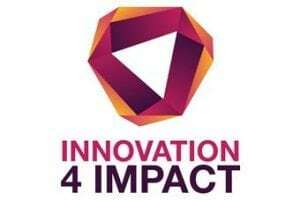 Managed in collaboration with the American Muslim Consumer Consortium, the Innovation 4 Impact competition started accepting applications on July 13 from companies and entrepreneurs with potentially ground-breaking ideas or business ventures pertaining to e-commerce, mobile computing, cloud computing, big data, hyper-converged platforms, as well as new media and social media. For further information on the Innovation 4 Impact Competition and details on participation, please visit www.innovation4impact.com/.